Home Miss Universe Pia Alonzo Wurtzbach Perez Hilton praises Pia Wurtzbach! 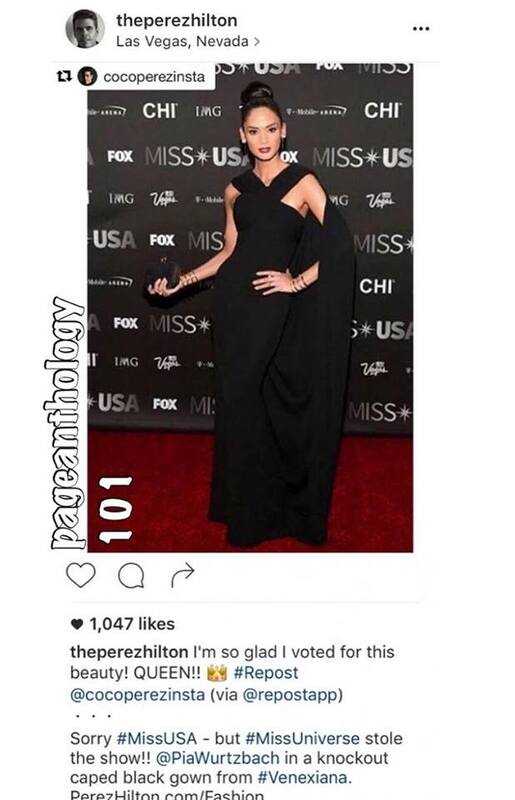 Perez Hilton praises Pia Wurtzbach! 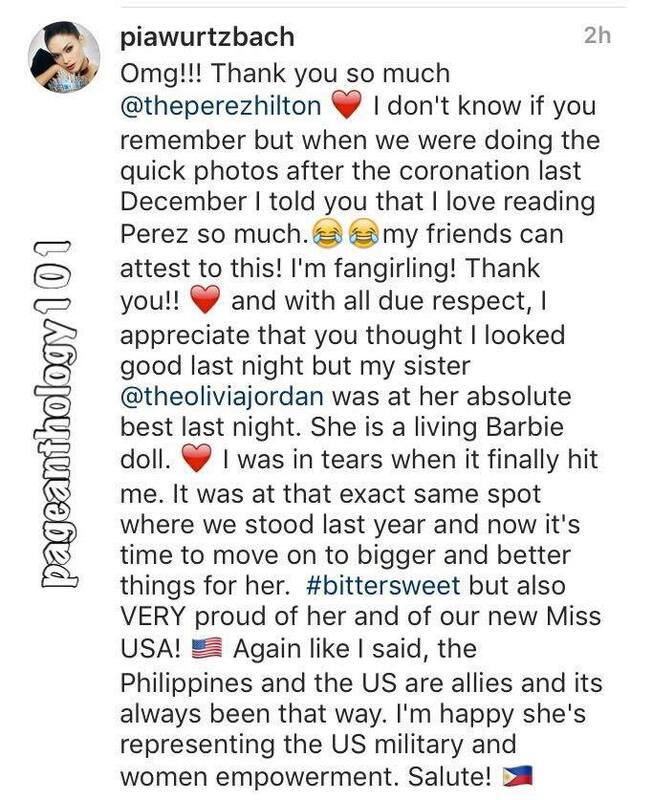 64th Miss Universe pageant judge and celebrity blogger Perez Hilton praised Miss Universe Pia Wurtzbach's look at the recently concluded Miss USA 2016. He said that Pia Wurtzbach stole the pageant show in her Venexiana's caped black gown. Pia Wurtzbach responded in kind words after she learned the blogger's compliment. During Miss Universe season last year, Perez was very vocal on why she picked Pia as Miss Universe. He said Wurtzbach responded well when she was asked as to why she should be the next Miss Universe. "I went with my gut and I voted for Miss Philippines. I found out afterward it was unanimous. Every single judge on that panel voted — all four of us — for Miss Philippines to be number one," he revealed.